Touch Networks, an international service provider of technology solutions for household brand names such as Optus, Medicare Australia and the ANZ talks about their experience using Tencia and discussed how straightforward the migration from ArrowSQL was. In May 2000, Touch Networks began as an Australian start up business with a small but dedicated group of staff and has now grown into an international service provider, intelligently riding high on the wave of the digital and mobile revolution. 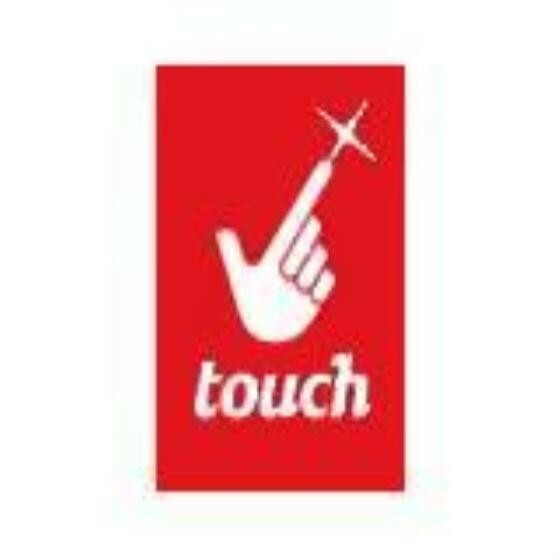 Touch have achieved some remarkable results and boast an impressive customer base that includes household brand names such as; Optus, 7Eleven, Officeworks , MoneyGram, Medicare Australia, Telstra, Crazy Johns, Vodafone, CBA, ANZ, NAB, Westpac and Suncorp bank . Offering a suite of technology solutions to many high end telecommunications giants and banks, has made it possible for Touch to diversify into a number of international markets. Touch offers a suite of products ranging from e-commerce solutions, mobile payment applications, Interactive Voice Response (IVR) solutions and self service kiosks, terminal and point of sale solutions. Their products and solutions take the hassle out of performing every-day tasks like recharging your mobile phone, when you’re low on credit, or purchasing a city link day pass at Tullamarine airport by using their touch screen self service kiosks. Touch boasts a culture that values the development of new ideas from within its ranks, and demonstrates the capabilities and business nous required to commercialise great ideas. Touch software applications can now be loaded onto many EFTPOS or Point of Sale (POS) system anywhere in the world, offering merchants the ability to sell hundreds of products and services electronically from wherever they want, whenever they need. The result for merchants is increased sales and an increased product range, for customers it means easier and more convenient ways to purchase the things they want and need each day. As Touch evolved so too grew their need for a real time accounting solution to give them faster access to live data and information. The evolution of their business meant that they needed to be able to share important business information more quickly and efficiently. In seeking these greater business efficiencies and increased automation they turned to Arrow as trusted partners. Touch, an Arrow client for many years understood that the upgrade from Arrow Financials to Tencia made perfect sense. Their decision was influenced by a number of factors including; the prospect of very little down time, the knowledge that their existing financial data could be seamlessly migrated to the new Tencia solution and the awareness that what awaited them was a simple and easy to use interface that was familiar to their staff. Touch is an IT savvy organisation and understands that with any new project including the implementation of any new system unexpected challenges may be faced. However, they were pleasantly surprised when their Business Partner, managed the migration of their existing system across to Tencia effortlessly, primarily as a result of the thorough preparation, planning and collaboration with all parties. Lou Pancari from Touch says “We were so pleased to have our system migrated across from Arrow Financials to Tencia in less than a day.We were not expecting the process to be as easy and straight forward as it was”. 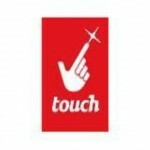 Touch was also glad to discover that their business partner was available whenever they needed any assistance, post the Tencia implementation process. “Our training sessions were a great introduction to Tencia, our business partner made the process of updating less daunting and you begin to realise that you already know the product because its layout is similar to Arrow Financials.” Lou Said. “ It has also been great that the process of closing financial periods is now close to instantaneous, as this process used to take me close to an afternoon to run, so this has really improved productivity for us.” said Lou. Along with the productivity increases that Touch has experienced due to the simpler period ends, other new Tencia features that have also helped improve productivity and have been very well received, the ‘Reporting Inbox’ has proven to be a favourite. “The Reporting Inbox, it’s an innovative feature that keeps all the reports you have run in one place. If you need to access the report again, there no need to hunt around for it or generate it again. Need to export it to Excel for further analysis or save it as a PDF? It can be done easily.” Lou says. The ‘favourites’ feature has also helped reduce the time it takes to enter data. “What you also gain immediately with Tencia, is access to the features associated with using Microsoft Suites.So you no longer have to navigate through a toolbar because you can set up ‘Favourites’. Entering Creditor Invoices for example, is now one click away instead of several, so straight away you get the information you need faster in Tencia.” Lou explains. Recognising future potential and mitigating current vulnerabilities. As Touch continues to experience a period of growth and becomes an increasingly sophisticated business, Touch is keen to extract further productivity gains from Tencia. One key expectation, and essential part of the decision making process to move to Tencia was that the new solution would offer much greater flexibility. Tencia’s ability to overcome issues such as different operating systems, platforms and programming languages was a key driver for change. “As we have several systems with their own databases, it is important that we can extract that data so we can include it in Tencia for our financial reporting. At the moment, this process is manual. It is here where we are liaising with our Arrow Business partner, and taking full advantage of our business partner’s expertise, to get Tencia working so this data can be easily uploaded in one central location in the hope of reducing our workload.” This automation and integration will allow Touch to build in further checks and balances into their business, driving further productivity gains and reducing the possibility of human error.